According to the National Institute of Mental Health (NIMH), approximately 25 percent of U.S. adults struggle with depression, anxiety or some combination of both. In any given year, approximately 6.9 percent of American adults — about 16 million people — live with depression. Approximately 18.1 percent — about 42 million — live with anxiety. NIMH estimates that an even greater percentage of adolescents ages 12-18 struggle with depression and anxiety — approximately 9.1 percent and 25.1 percent, respectively. The precise incidence in children is unclear. These numbers are staggering but perhaps not as eye-opening as another number. 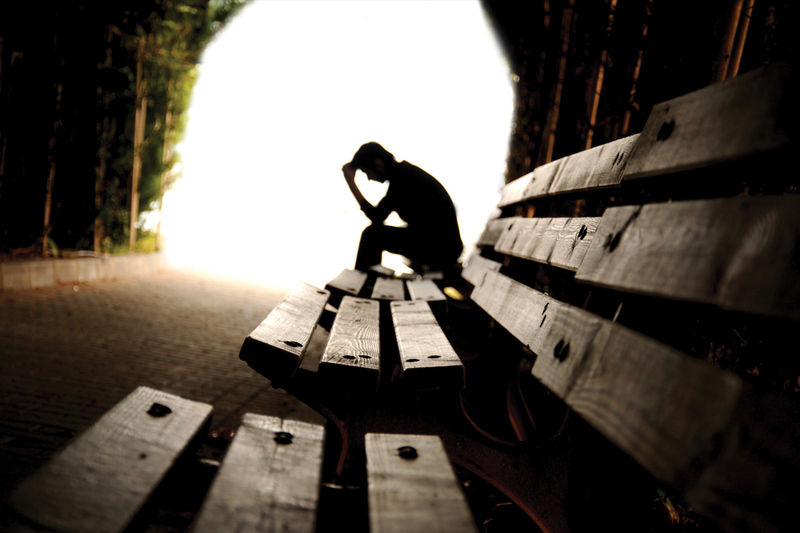 According to NIMH, 50 to 60 percent of those living with anxiety and depression receive no mental health services. But what about those who do seek help? What works? Which treatments should counselors know about? Counseling Today asked several practitioners to discuss the steps they’re taking to help clients who are engaged in struggles with anxiety and depression. Beth Patterson, a licensed professional counselor (LPC) with a private practice in Denver, uses an eclectic mix of mindfulness practices, epigenetics and, in some cases, eye-movement desensitization and reprocessing (EMDR) to help clients with depression and anxiety. “I see a mix of depression and anxiety. They’re really closely related. The same brain chemicals are involved,” she says. Depression and anxiety also share an essential psychological component — namely, pushing people away from living in the present moment. Individuals with anxiety are continuously worried about the future, while people with depression are often focused on what has happened in the past, explains Patterson, a member of the American Counseling Association. Patterson helps her clients recognize when they’re having negative or anxious thoughts. She also gives them homework, instructing them to focus on noticing their self-talk. Patterson says she also teaches visualization as a tool to “bring them back down to their bodies” and out of the constant cycle of negative thoughts. Clients learn methods such as the “tree meditation,” in which they imagine themselves as a tree that is growing from the ground and sprouting branches. Another technique she uses is to have clients breathe in and out while visualizing that they are drawing breath through their feet. Patterson also meditates with her clients, teaching them to focus on their breathing and center their bodies instead of always living in their heads. Another mindfulness technique is known as the driving meditation. “When you are in the car, drive,” Patterson tells her clients. “Turn off the radio [and] your cell phone and feel the road. When you get to a stop sign, stop and notice whether you’re driving or making a shopping list.” Over time, Patterson explains, these tools help clients become more aware of their thoughts and recognize when they are ruminating or engaging in negative self-talk. Once clients start recognizing negative thought patterns, they can then use visualization or other mindfulness practices to break the cycle, she says. Clients often feel ashamed of having anxiety or depression and tell themselves that they must be weak to be susceptible to the condition, Patterson says. 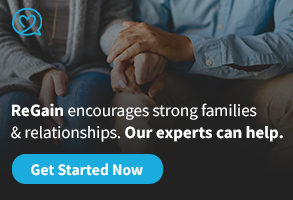 One of the ways she helps her clients see the fallacy behind this thinking is by asking them to build a family tree to find out whether depression, anxiety or trauma runs in the family. She talks with them about epigenetics, or chemical changes that alter a person’s genome and affect whether certain genes are expressed. Some researchers believe that life experiences can cause these changes and that the alterations can be passed from generation to generation. For instance, Patterson says that depression runs in her family. She believes that a great trauma — her grandmother’s flight from the Russian pogroms at the turn of the 20th century — caused a change in DNA that was handed down in the form of depression. Patterson also probes for trauma in the backgrounds of her clients because she believes it is common in people with depression and anxiety. “There are all kinds of trauma,” she says. “There is large ‘T’ trauma and small traumas.” Sometimes, the accumulation of small traumas can also cause psychological damage, she asserts. Patterson often sees clients with trauma-related depression. For those cases, she uses EMDR as part of the treatment. She sometimes also uses EMDR for anxious thoughts. Developed by psychologist Francine Shapiro, EMDR uses bilateral stimulation, or stimulation on each side of the body, to help alleviate the emotional distress caused by traumatic memories. The most common method of EMDR uses eye movement, but it can also be performed through physical stimuli, such as buzzers or tapping, explains Patterson, who uses hand-held buzzers with her clients. Patterson’s overall strategy in treating depression and anxiety is to use self-awareness techniques to help clients escape the thoughts and feelings that are holding them back. After clients learn to recognize their negative self-talk, she says, they can use the other tools she has given them, such as meditation and visualization, to ultimately banish their negative thoughts and the anxiety or depression that accompanies them. Lori Russell-Chapin believes that neurocounseling — which combines traditional counseling with an understanding of how the structure and functions of the brain affect behavior and emotion — can deliver the most effective treatment for depression and anxiety. In neurocounseling, clients are taught about the brain’s structure and chemical processes and how they influence a person’s emotions, she explains. Clients then learn that they can change some of these processes through neurotherapy. “Neurotherapy is anything that changes or neuromodulates any of our neurons. That could be counseling, it could be neuro- or biofeedback, or it could be exercise,” says Russell-Chapin, a licensed clinical professional counselor (LCPC) at Chapin and Russell Associates in Peoria, Illinois. Russell-Chapin, an ACA member, begins counseling with a complete assessment of the client. Because she is probing for neurological and physiological factors, her assessments cover elements such as a client’s medical history all the way back to birth. For example, Russell-Chapin wants to know whether there was any trauma during the client’s birth, such as oxygen deprivation or the use of forceps. These details help reveal potential sources of brain dysregulation, or an unhealthy alteration of the brain’s activity, explains Russell-Chapin, who is also a professor of counselor education at Bradley University in Peoria and co-director of the university’s Center for Collaborative Brain Research. This dysregulation is at the heart of clients’ mental health problems, she asserts. For instance, she says, depression is related to frontal asymmetry — a condition in which the left frontal lobe, which is associated with positive affect and memory, is underactivated. In cases of anxiety, she adds, the right frontal lobe usually has excessive activity. This dysregulation shows up in clients’ brain waves and can be treated through neurofeedback, Russell-Chapin says. The process begins with an initial electroencephalogram (EEG), which will reveal where the brain is dysregulated and the corresponding imbalance of brain waves. Neurofeedback sessions are designed to change specific brain wave activity, Russell-Chapin says. “During the session, an [electroencephalograph] tracks the client’s brain waves. The neurotherapist sets a clinically needed threshold, and when the EEG indicates the desired brain wave activity, the brain is ‘rewarded’ with music or video activity,” she explains. “For example, a client with depression may have an underactivated left frontal area —not enough alpha — and an overactivated right frontal area — too much beta. Over time, the principles of learning win over, with the reward system ‘training’ the client’s brain. The sessions continue until the client’s EEG is consistently showing the desired — or properly regulated — wave activity and the symptoms of depression begin to dissipate.” The process usually takes 20 to 40 sessions, according to Russell-Chapin. Russell-Chapin also emphasizes to clients the importance of diet, exercise and sleep because they all have a significant effect on brain regulation. Humans are hard wired to have negative thoughts, says Vanessa McLean, and that is something she emphasizes to clients with depression and anxiety. McLean, an LPC with The Westwood Group, a group practice in Richmond, Virginia, that offers a wide variety of therapies, has found that teaching people about the physiology of their emotions with intense brain-based psychoeducation can be very effective for treating depression and anxiety. Learning that the tendency to react with fear or sadness is in part biologically driven helps to lessen the shame that often accompanies depression and stress, she says. “That initial emotional response, we often can’t control, but it’s what we do with it. Do we feed it?” asks McLean, whose areas of specialization include anxiety and mood disorders. McLean talks to clients about their personal histories and how they have traditionally reacted to and coped with negative emotional responses. She helps them understand that struggling with negative thoughts is normal, but they can learn to reinterpret or not dwell on these emotions. “A lot of times, people spend all day living in their heads,” McLean observes. She urges clients who might be struggling with depression or anxiety to distract themselves with exercise and other activities that they find enjoyable or that give them a sense of meaning and purpose. To short-circuit this loop, she teaches clients deep breathing techniques and progressive muscle relaxation. She also asks them about other activities that have helped calm them in the past. When clients are open to it, McLean may also discuss spirituality with them and get them to talk about what gives them meaning and purpose. As one element of her practitioner profile, McLean identifies herself as a Christian counselor, so sometimes people seek her out because of that. However, she doesn’t limit herself to clients of a particular religion. She believes that everyone is a spiritual being in one way or another, and she helps clients explore their beliefs — whatever they may be — to impart a sense of hope. Something that McLean doesn’t embrace is the medical model — the view that mental health issues are illnesses. She believes that calling depression or anxiety an illness encourages people to think that they can’t do anything about their symptoms. Lisa Jackson-Cherry has a counseling practice in a medical setting — the Chester Regional Medical Center in Chester, Maryland — and often receives referrals from physicians. She doesn’t reject the concept of mental health problems as illnesses, but she believes that psychotropic drugs are rarely the answer to treating those issues. Although the process may take longer, Jackson-Cherry thinks that the tools clients acquire through counseling will bring longer lasting relief and will also help individuals cope should symptoms of depression or anxiety later resurface. Although she often uses cognitive strategies to help clients, Jackson-Cherry, who is also an associate professor of psychology at Marymount University in Arlington, Virginia, doesn’t use a predetermined script. She believes that depression and anxiety are inextricably linked to a client’s life experiences. Talking to clients about their experiences helps Jackson-Cherry to individualize their therapy, she says. For example, talking about the root of a client’s anxiety may reveal that it comes from not feeling protected or safe in the wake of a sexual assault, she explains. In that case, Jackson-Cherry might use not just cognitive therapies but also behavioral therapy, such as talking about how the client can feel safer and more in control. Research has shown that women are two to three times more likely than men to experience depression. Approximately 1 out of every 5 women in the United States will experience depression at some point in her lifetime. This is largely, though not entirely, due to hormonal factors, according to ACA member Laura Hensley Choate, an associate professor at Louisiana State University in Baton Rouge. She adds that this stark gender gap does not appear until puberty and then disappears after menopause. In fact, between the ages of 12 and 15, the depression rate in girls triples, growing from about 5 percent to 15 percent of all girls, says Choate, who has written extensively about girls’ and women’s mental health, including two books published by ACA (Girls’ and Women’s Wellness: Contemporary Counseling Issues and Interventions and Eating Disorders and Obesity: A Counselor’s Guide to Prevention and Treatment). This rapid increase in depression incidence is related not only to a surge in hormones but also to factors that accompany the onset of puberty, she explains. Girls who go through puberty early are at even greater risk for depression, Choate says, in part because their emerging physical maturity often pushes them into situations that they are not emotionally ready to handle, such as older boys becoming interested in them sexually. These girls may also find themselves pulled in socially by older students and encouraged to experiment with drugs and alcohol, which further sets them up for depression, she explains. Boys, on the other hand, go through puberty about three years later, which gives them time to become settled in school and adjust to the challenges of adolescence, Choate says. In essence, they have more life experience before they face the hormonal surge of puberty. And then there is the monthly hormonal shift that girls and women face with their menstrual period, Choate points out. Counselors should be aware that not only can PMS exacerbate depression symptoms, but in some cases, she continues, what looks like major depression may actually be premenstrual dysphoric disorder (PMDD), a condition that was added to the fifth edition of the Diagnostic and Statistical Manual of Mental Disorders. If depressive symptoms seem to appear for only part of the month, a counselor should screen for PMDD by helping the client track her moods over time, Choate says. If PMDD is present, making dietary changes such as decreasing alcohol, fat, salt and caffeine and increasing complex carbohydrates may help. If antidepressants are needed, they may be necessary for only part of the month, Choate notes. Counselors can also help clients evaluate their options for lessening the symptoms of PMDD. For example, if a client decides she wants to consult her gynecologist or primary care physician, the counselor can help her come up with questions to ask to be fully informed about her options, Choate says. It is also important for counselors to encourage female clients to focus on self-care during their symptomatic days, she emphasizes. Women need to be told that it is OK to slow down, plan a less hectic schedule and take care of themselves when they are feeling bad. 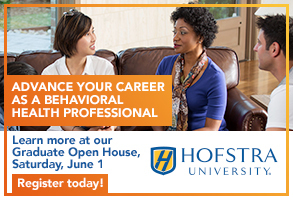 “We know through CBT [cognitive behavior therapy] that just decreasing [self-] expectations can help,” Choate says. 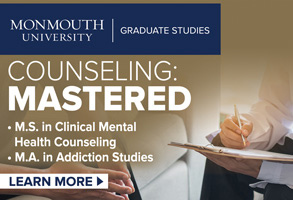 In fact, CBT is often regarded as the “go-to” treatment for depression by mental health professionals, but counselors should also consider interpersonal psychotherapy (IPT), especially if CBT doesn’t work, Choate says. IPT can be very effective for women and, in particular, girls, Choate asserts. “It works not just on depression but also on social skills, building up relationships and self-esteem,” she says. IPT assumes that regardless of depression’s cause, it is intertwined with personal relationships, Choate explains. In IPT, counselors start by taking an interpersonal inventory of the client’s life: Whom can she count on? Who supports her emotionally? Is she dealing with any relationship issues, including unresolved grief? Role transitions, such as from childhood to adolescence or the transition into motherhood, are also important because they raise questions about loss, Choate says. For example, when she becomes a mother, a woman is gaining a child, but she may also question what she is losing, such as a degree of personal freedom. The uncertainty that accompanies transitions can trigger depression. Because women are more likely to view relationships as central to their emotional well-being, supportive interpersonal relationships can help them cope with the emotional aspects of transitions. Conversely, interpersonal conflict may exacerbate feelings of anxiety or depression, Choate explains. Therefore, identifying negative and positive interpersonal factors in a woman’s life can be essential to treating depression, she says. The childbearing years are also a prime time for depression in women, Choate says. Part of that involves issues such as deciding whether to become a mother or becoming a mother and learning to juggle family, work and life. However, pregnancy itself poses a depression risk that counselors may not be aware of, Choate cautions. Postpartum depression has become a familiar concept, but women can also become depressed during pregnancy, she explains. Women who have a history of depression are at very high risk for developing pregnancy-related depression. But prepartum depression can mimic normal pregnancy symptoms such as fatigue, loss of appetite and not wanting to participate in previously pleasurable activities, Choate explains. To help distinguish between normal pregnancy symptoms and depression, Choate advises counselors to ask their clients who are pregnant whether they would want to go out and do what they used to do if their physical symptoms such as nausea and fatigue disappeared. Most pregnant women would say yes, but those who are depressed would generally answer no, she explains. Depression during pregnancy — whether it is preexisting or prepartum — can also raise the particularly difficult question of whether to take antidepressants, she says. The answer is not simple. Untreated depression is bad for the mother, and research indicates that once the child is born, a mother’s state of mind can have a significant impact on the child. Although not conclusive, some research has indicated that antidepressants are associated with low birth weight, preterm delivery and pulmonary hypertension in newborns. Antidepressants may also be associated with spontaneous abortions and preeclampsia. However, many of these complications have also been associated with depression itself. After the child is born, a mother experiencing depression will have to make another related decision: whether to take antidepressants and nurse, to nurse without taking antidepressants or to continue drug therapy and rely on formula to feed the child. Again, says Choate, the research on the implications of these choices is mixed. There is also significant medical and social pressure for mothers to breastfeed, so female clients who are dealing with depression will need support gathering and considering all the variables to make a decision. Counselors can play a valuable role in helping clients formulate the right questions, Choate says. As women leave their childbearing years behind, they also face increased risk of depression. “Women are more vulnerable to depression during the years leading up to menopause,” Choate says. Then there are the issues that women face related to aging in today’s society, she continues. Women are valued for their youth, beauty and fertility, and as they grow older and no longer reproduce, they lose societal status, Choate says. These changes are especially difficult if a woman’s self-identity is closely tied to her looks, she says. So, Choate concludes, although hormonal factors are certainly a contributing factor, counselors should be aware of all the sociocultural influences that make women and girls more vulnerable to depression. The American Mental Health Counselors Association, a division of the American Counseling Association, was chartered in 1978. It represents mental health counselors and advocates for client access to quality services within the health care industry. Visit its website at amhca.org. Anxiety and depression go hand in hand. One of my friends has depression, even though he denies it. It’s good to see how they help patients out with depression. Something I can think of that would help would be to reinforce them with positive memories and experiences. For either situation, it’s something serious and should be dealt with up-most seriousness. Thank you for the info. Really an informative and helpful article. will surely share this. looking forward for more articles like this. Thank you once again. There are a lot of good tips on why it is smart to meet with a psychiatrist. I can only imagine how tough it would be to go through emotional problems. Meeting with a psychiatrist can be very beneficial, and helpful. I have always known that anxiety makes you push away living in the moment because you dwell on the past. I used to have major anxiety issues, and still struggle with it now, but i decided that I didn’t want to live that way and went and got help. I think that you should be brave enough to seek help, and if you aren’t that’s fine too. You stated that according to the National Institute of Mental Health, approximately 25 percent of U.S. adults struggle with depression, anxiety or some combination of both. 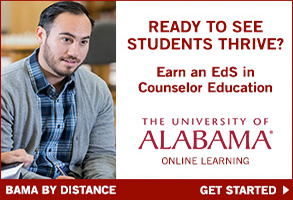 Do most counselors have different ideas of what can help with depression or is there a common treatment that they use? My sister has had a couple of close calls with suicide because of her depression and really needs some help. Hiring a counselor could be a very good option for her. I was amazed to learn that 16 million American adults live with depression, and 18.1 live with anxiety. My sister has had some issues with anxiety, and I wanted to learn more so that I could be supportive. We’ll have to find a good professional that could help her through this issue. Thanks for the super informative read. I had no idea that one in every five women have depression. As a woman that is a pretty scary statistic to hear. My family also has a history of depression so that makes it even scarier. It seems like a good idea for me to find a counselor to help me if I start recognizing the signs of depression. I am very enjoyed for this site. It’s very informative topic on depression and anxiety. I think it may assist all of you. Thanks a lot for this beauty Enjoying article with me. I appreciate it very much! This is some really good information about treating depression and anxiety. My little sister struggles with anxiety often. So, I liked that you talked about how there are chemicals that she could take that would help her brain balance out her anxious behaviors for her. That might be something she should talk to a professional about trying. It might also be good for her to get some counseling along with that. One of my best friends thinks she may suffer from anxiety, and I’ve been wanting to do some research on how I can help her. Before reading this, I had no idea that humans are wired to have negative thoughts like the article mentions. It is really interesting to me that so many people could potentially be suffering from this condition. This is great information for me to share with my friend! Thanks. 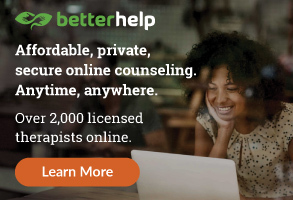 As someone who has lived, and is still living with, a lot of anxiety, it really can be quite a bit difficult to find a therapist that you can feel comfortable with. However, I really like a lot of what Beth Patterson talks about in this article here. In particular I definitely agree that being ashamed about anxiety is something that you shouldn’t do and that there are many exercises you can do to show that it might just run in your family. I didn’t realize that 25% percent of adults suffer from depression or anxiety. It is interesting how you described both problems as having the same effect of preventing people from living in the moment. I know a few people who are like this, including my sister. She has been trying to push past her problems on her own, but I think she would really benefit from meeting with a mental health counselor. My son has suffered from depression and anxiety for many years now. I worry about him, and would love to find a way to help him. I liked what you said about finding a counselor to help him recognize what makes him get those negative thoughts. I like that you mention that young girls are at a bigger risk of depression because they go through puberty sooner. It’s important to keep in mind what the signs are for depression and to seek out help as soon as you can. Finding the right counselor for you can make a world of difference in helping treat depression. It was interesting how you mentioned that counseling can help ensure longer lasting relief than other treatment methods. A friend of mine mentioned to me the other day that he has been struggling with depression. How often would he need counseling before he starts to see benefits? I appreciate Your honesty Laurie, Despite, that other people don’t want to accept that in many cases there is a definite gender gap in how much a woman can suppress depression, compared to how much a man can. After puberty, I will admit, that I did find myself becoming more anxious and depressed over the smallest things. I have found that my age of 35, I’ve learned to accept this about me, and in return found better ways to cope with depression. I thank you this article Laurie. My daughter struggles with depression and I really appreciated your comments on helping people with depression stay mindful of what they are doing while they are doing it. I especially liked the “driving meditation” technique where you really just focus on being present while you drive. Not only does this sound safer, it also makes you very aware of your thoughts and gets you in the habit of being mindful. going to remove the hurt it will always be their inside your head. I’m going out for a walk. I am not surprised but 25% of US adults suffer from either anxiety or depression. I am a social worker and I would say a majority of the clients that I see have problems with these two mental health issues. You highlight many useful technique’s which can be useful in assisting clients in managing their negative emotions. Pattersons emphasis on developing awareness in her clients about their negative self talk it’s something I also focus on with my clients. She’s right on in that awareness must be developed first before the altering of cognitive distortions can begin to take place. I’m very interested in learning more about the mindfulness techniques that are also discussed in this article. I want to thank you for expanding my understanding of the treatment of anxiety and depression.